Home Tags Posts tagged with "knit fabric"
I’m so glad to finally introduce the new pattern: the Aldaia dress! I’ve been working on it for the past 3 months and was waiting for the Paris fair to release it. Inside the Aldaia dress pattern, you’ll find 3 different views and you’ll be able to combine the sleeves, necklines and skirts options for a total of 27 different dresses! 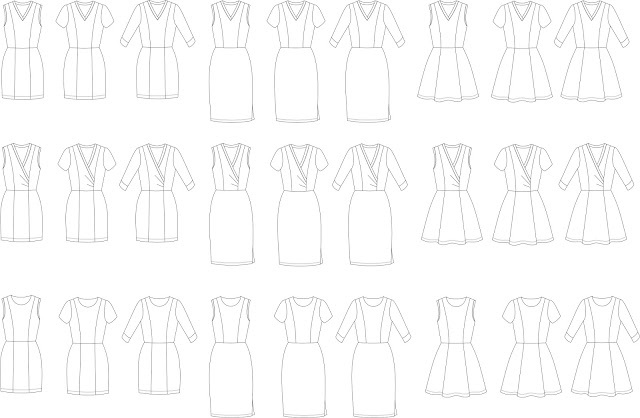 Yes, 27 dresses in 1 pattern! As I started with the Aldaia design, I kept adding possible modifications and I thought it would be great to have them directly added to the pattern. This pattern is designed exclusively for knit fabrics: you’ll need between 20% and 30% stretch (I’ll come back in the next days with a tutorial on how to check the stretch and some tutorials on how to sew with jersey fabrics). You can use fabrics like cotton jersey, rayon jersey, neoprene, french terry… and my favourite ponte milano! As for sewing the Aldaia dress, you won’t need anything special: if you have an overlocker, perfect. If you don’t, don’t worry, you can sew the whole dress with your sewing machine. 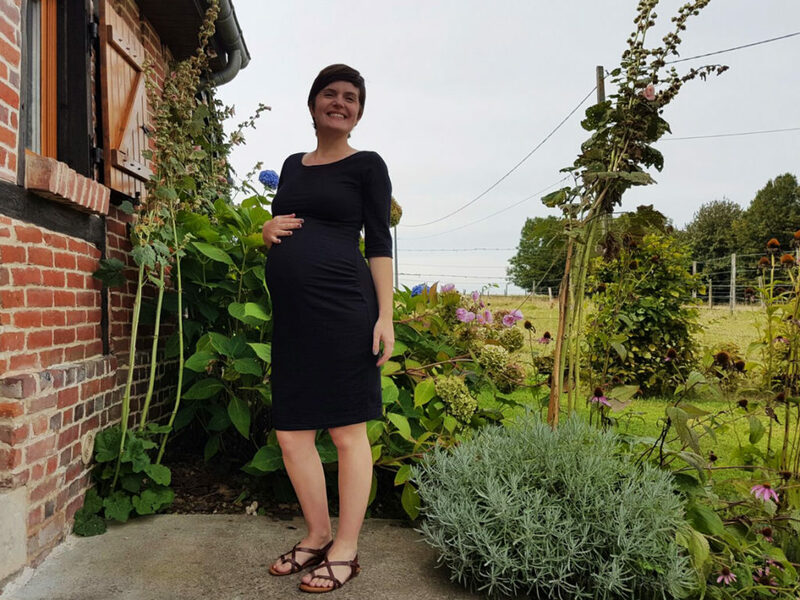 The Aldaia dress pattern uses the same bodice base for all 3 views but has many options. View A has a V-neck, elbow-length sleeves and a short skirt with panels (great for colorblocking). View B is sleeveless, with a faux wrap neckline and an elegant knee-length skirt. As for view C, this is the more playful design of the 3 with it’s round neckline, short sleeves and full 6-gore skirt. And as I’ve said before, feel free to mix’n match the options: how about a wrap bodice (view B) with short sleeves (view C) and short skirt (view A)? Anything’s possible! I hope you’ll like this new pattern. You can find the printed and PDF copies in the shop. Let me know which view is your favourite!